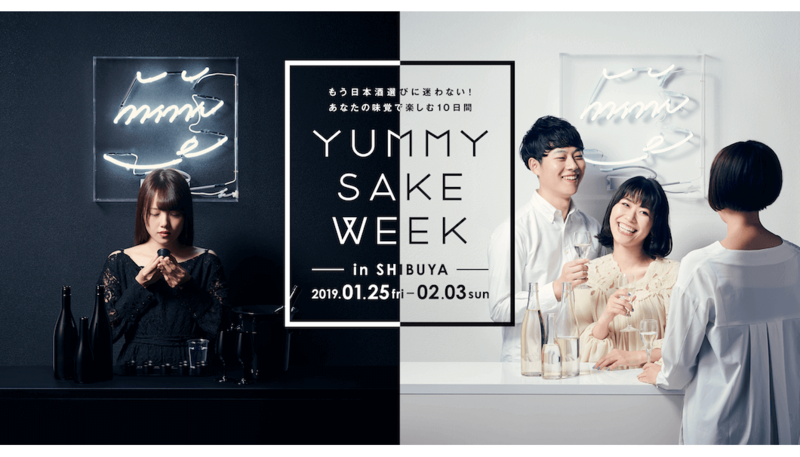 Starting on January 25 and lasting 10 days, Yummy Sake Corporation will be holding the Yummy Sake Week event in Tokyo’s Shibuya Ward. There, visitors can try out Yummy Sake’s unique business firsthand. 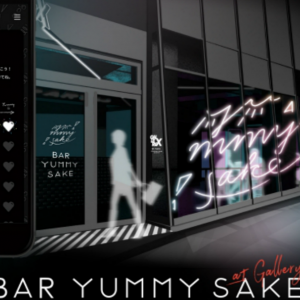 Yummy Sake is an online service that lets you know your own sake tastes with AI guidance. By blind tasting different sake and giving the system your impressions, it puts you into one of 12 drinker categories. Each class has an onomatopoeic name, like “kyunkyun” or “sharashara” that corresponds to a certain range of sake brands. Using this information, anyone can select their optimal sake from a menu easily and without having to know all the jargon and nuances of the sake world. During Sake Week, not only can visitors have their taste in sake analyzed, but they can put this diagnosis to the test through daily tastings and at an on-site sake bar and restaurant. 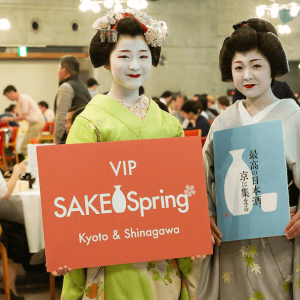 It’s a perfect chance for newcomers to the wide world of sake to learn where to begin, or even for long-time drinkers to discover new brands that meet their preferences. But be sure to stop by before Yummy Sake Week closes on February 3. 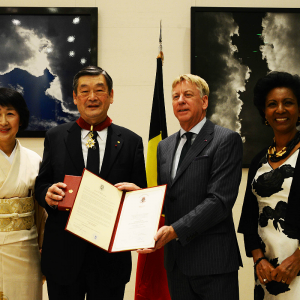 European Union Headquarters in Brussels now hosts its very own sake bar. After a month, it’s proven a hit among diplomats and staff. The first of its kind in Belgium, the bar serves Japanese sake along with meals like bento boxes and is helping to foster a fondness for both among Europeans. Businesswoman Saori Nishida is the brain behind the bar, simply called Sake Bar Brussels. A Kyoto native who got her masters in business in Switzerland and then moved to the Belgian capital in 2012, Nishida says she began to consider the potential market for sake in the EU and, with the help of breweries in Japan and investors, eventually pulled the trigger on founding the establishment. It was a difficult start, however, as some Europeans were hesitant to adopt the new foods and drinks at first, sometimes leaving upon learning no wine was served. Also, due to strict trade restrictions, it was apaprently difficult to receive sake imports, with delays of up to two months in some cases. This is all set to change, though, as the Economic Partnership Agreement (EPA) between The EU and Japan begins this February. One benefit of the EPA is an immediate lifting of tariffs in sake imports, allowing for more freer trade than ever before. As a result, Nishida will begin to offer some 100 brands from sake breweries all over Japan when the EPA takes effect – many of whom have never had a chance to do business in Europe before. It’s just one way that the EPA is helping people like Nishida and those across the sake industry take advantage of this untapped market. A survey by the Japanese branch of Dutch website Booking.com asked tourists from seven countries what places they like to visit in Japan, and what activities they’d want to engage in in the country during the winter season. Among visitors from the nearby countries of South Korea, Hong Kong, and Taiwan, “drinking sake” was the most common activity cited, with “visiting hot springs” in second. These guests also tended to visit the southern island of Kyushu, known for both its alcohol production and famous hot spring areas like Yufu, Beppu, and Kumamoto. Meanwhile, tourists from the Southeast Asian countries of Thailand and Singapore like to experience winter in Japan in snowy areas like Hokkaido and Takayama. American and British visitors are mainly interested in skiing and snowboarding during the winter and head to areas like Niseko. Finally, French guests say it’s historical and cultural sites like those found in Nara and Nikko that are most appealing. However, with steadily increasing tourism to Japan from all over, it’s just a matter of time before other countries realize what South Korea, Hong Kong, and Taiwan already know: that enjoying sake is a major reason for making pilgrimage to Japan, in the winter or any time of year, for that matter!